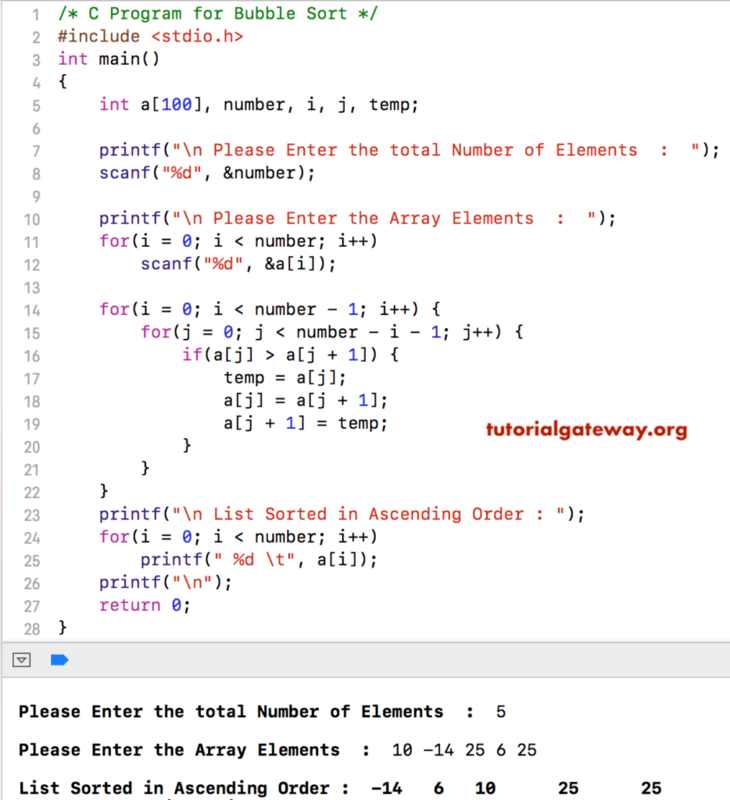 In this article, we will show you, How to write a C Program to Sort Array using Bubble sort with practical example. Here, For Loop will make sure that the number is between 0 and maximum size value. Now the array will be -14 10 25 6 25. Next, j will be increment by 1. This bubble sort program in C is same as the first example, but we separated the logic to sort array elements by bubble sort using Functions.